Can they cut out the middle man? Chinese tech company Lenovo launched a plan to cut out the middle man and offer mobile internet access directly to owners of their ThinkPad line of laptops. Select ThinkPad laptops equipped with 3G will now be able to access the internet through packages from Lenovo instead of through standard carriers. The mobile packages will come in several flavors, including 30MB for more than 30 minutes ($1.95), 200MB over a single day ($8.95), and all the way up to 2GB and 6GB monthly packages, for which pricing will vary by country. Lenovo will collaborate with cloud service provider Macheen to offer mobile access to ThinkPad customers. Why buy internet from Lenovo? 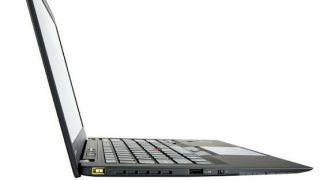 Increased mobile connectivity will make Lenovo's ThinkPad laptops all the more attractive to anyone who doesn't want to be tied to Wi-Fi, tethering or standard, contract-based wireless carriers. And the ability to purchase as little as 30MB of data for a measly $1.95 will no doubt prove beneficial to anyone stuck on their daily commute who needs to do more than check their email. The mobile access packages will be available to "select models" of ThinkPad Classic and ThinkPad Edge laptops, likely meaning any that are equipped with 3G. The service will be offered in 10 countries, including the U.S., U.K., Ireland, France, Germany, Italy, Austria, Belgium, Denmark, and the Netherlands. Specific pricing and other details are expected to be announced soon.